Unsafe acts contribute to many accidents and injuries and must be addressed as an important safety issue. Arguably it is the single most important safety issue that exists. appropriate signage and labeling and so on. But, despite all of this, accidents and injuries still occur. Many of which occur as a direct or indirect result of unsafe acts. This program examines all the key issues associated with unsafe acts in the workplace. 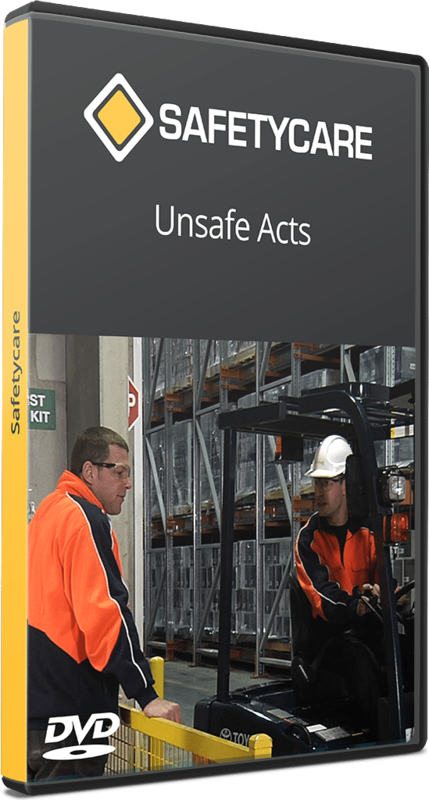 A strategy to reduce the number of Unsafe Acts that occur. Creating and maintaining a workplace culture that addresses the need to reduce the number of Unsafe Acts that occur is not an easy task to achieve. It requires a combination of appropriate levels of education and training, enforcement of safety standards, encouragement and good leadership. A reduction in the number of Unsafe Acts will result in a reduction in the number of accidents, injuries and illnesses.